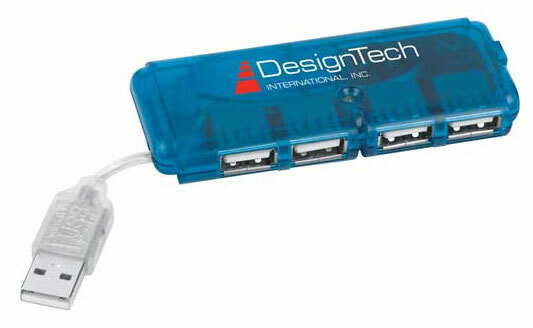 Plastic, 4-port 2.0 USB hub. Compatible with any PC or Mac USB port. USB cord extends 2-1/2". 3 9/16" x 1 1/2" x 7/16"